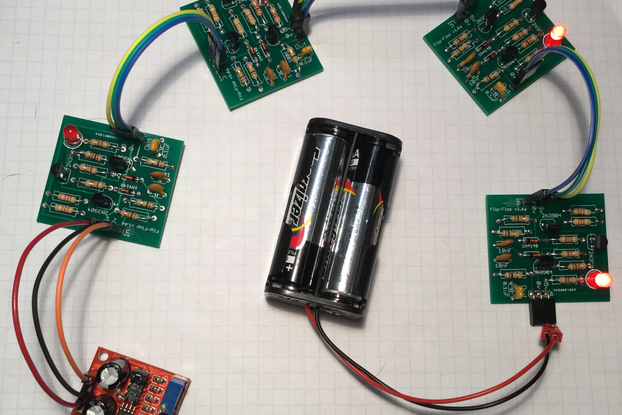 Build a NOT gate using transistors. 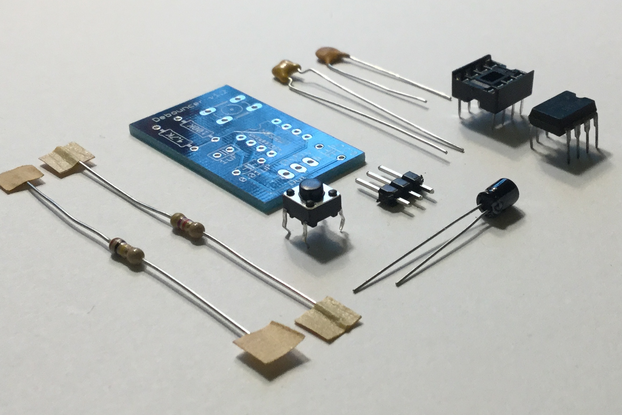 The kit supplies components to build a transistor based logical NOT gate with an indicator LED. The NOT gate design is similiar to that used in TTL circuits. The input pin connects to the emitter of a steering transistor which feeds an output transistor and LED indicator. The fan-out is good which enables the NOT gate to drive multiple other gates. With just a couple of NOT gates it is surpising what one can do with them. The documentation describes how to make a simple flip-flop and and two different kinds of oscillator (feedback and relaxation) from a couple of NOT gates hooked up together. 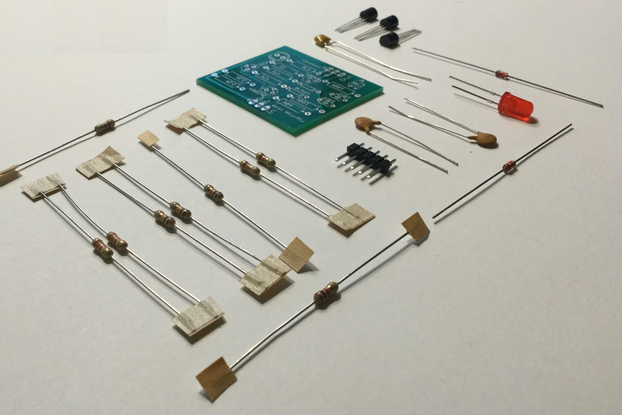 NOTE: This is a kit that requires basic soldering skills. I'm interested in retro computing using transistors. Unlike many transistor gate designs this is similar to TTL based designs.